I'm sure you're well aware the the SPED Prep struggle is real! I don't know if your classroom is anything like mine this year, but keeping the materials we are prepping has been HARD. I have some curious students who really want to know what's coming up, so they're constantly snooping in the bin we were using for a while. Which, honestly, was fine with me until we got so curious that everything got unorganized because we were just too curious. 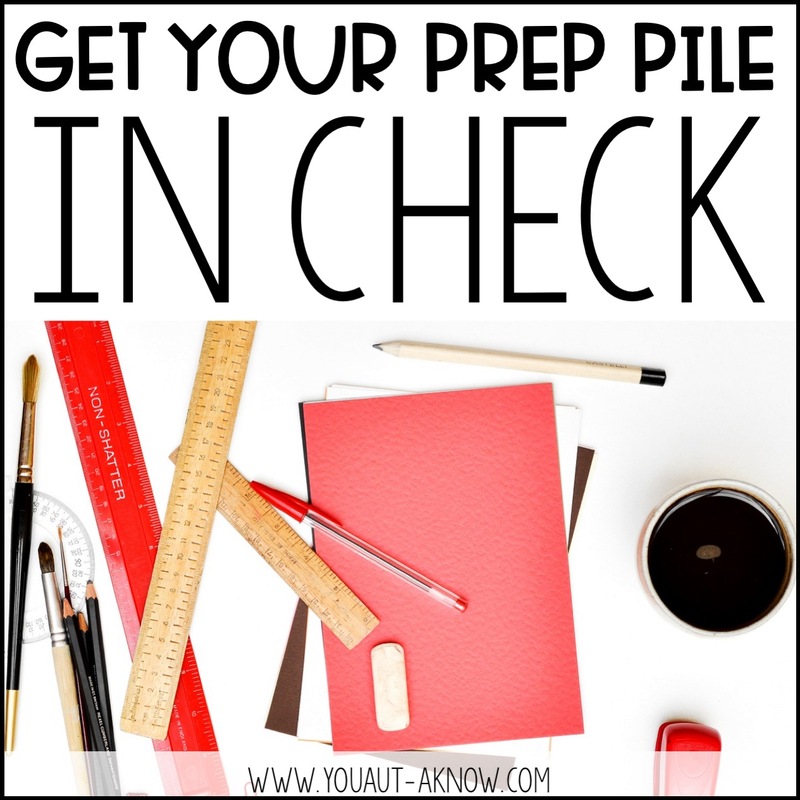 One thing that has been helping me is a super quick organization system that helps my paras and I stay on top of our prep and helps keep things organized from curious students. 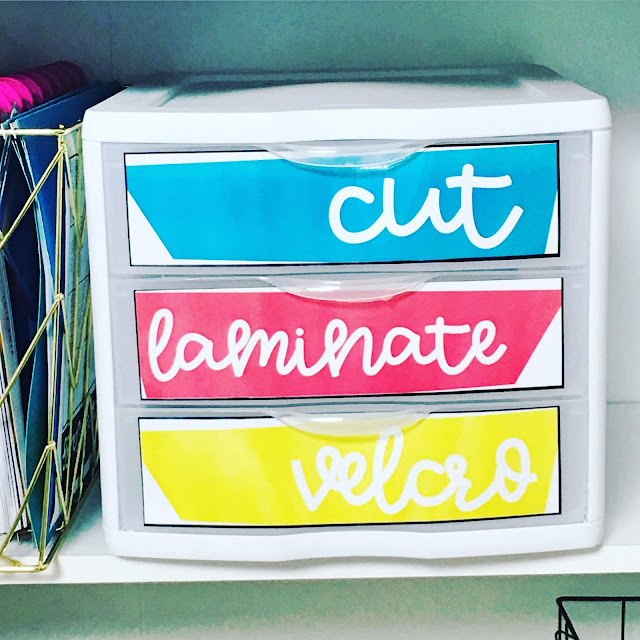 I grabbed some 3 drawer bins at my local target and whipped up some quick drawer labels for them that say cut, laminate, and velcro. This way when it's time to prep my paras and I can pick up right where we left off and work on finishing our prep piles. I love these drawers because you can remove the entire drawer, work on a project, then return the entire drawer to the frame for the next time you have a few spare moments to get some prep work done. Sometimes I'll leave a little note for my paras or a sticky on the drawer of something we need to complete, or paras can leave notes for me saying they finished a certain task. This will help us keep moving forward in our prep piles throughout the classroom and getting things ready to use. I keep the drawers in order of the steps that need to be completed (I'm a cut, laminate, cut girl, who's with me?) and we work our way down the drawers to prep materials. This system has been a life saver since I got rid of teacherland a few years ago to better accommodate the needs of my students. This super simple organization hack has been saving my sanity this year. 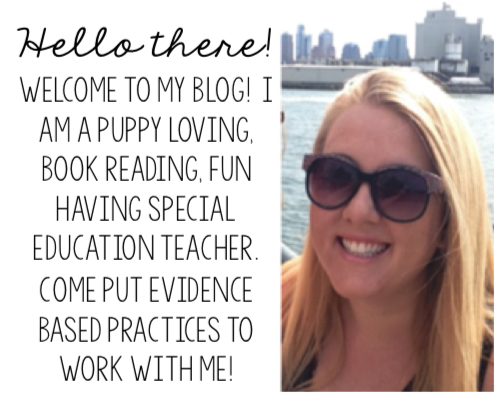 Do you have a SPED Prep hack? Drop me a comment and let me know what's working for you because this teacher can use all the extra tips right now!